Do you worry about staying keto during the holidays the minute the leaves start to fall? That’s totally normal. 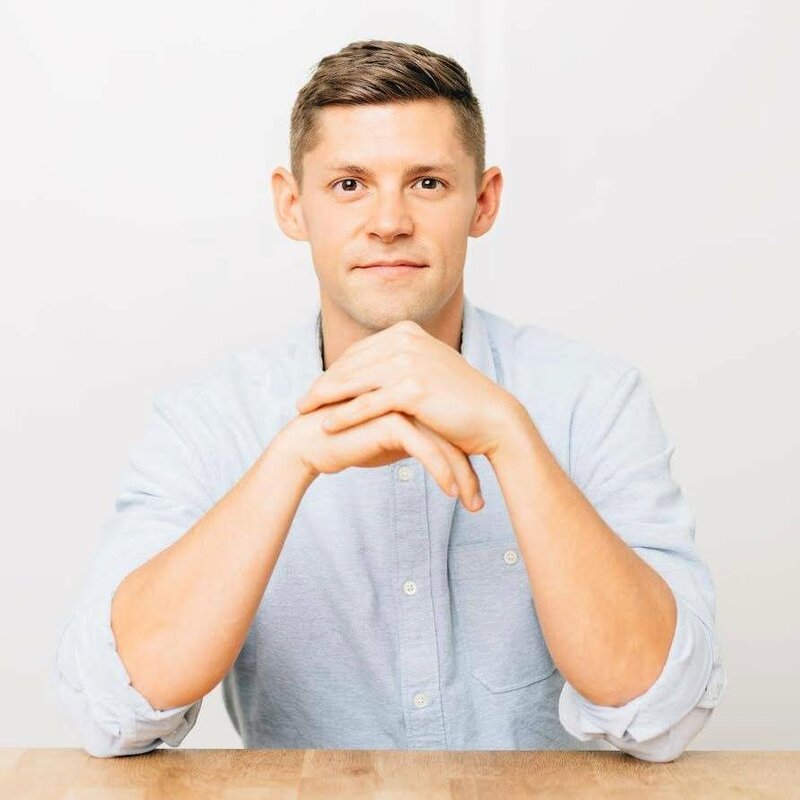 Like anything new, starting a ketogenic diet comes with a lot of questions and change. We’ve got great news for you. You can keep enjoying the ultimate and most versatile holiday food of them all: pumpkin. And you can do it without feeling like you’re sacrificing anything or missing out during gatherings. There’s nothing more fall than pumpkin spice everything. At this point Americans could just call fall pumpkin season. It’s gone far beyond pumpkin spice lattes to pumpkin cheesecake to pumpkin bread to pumpkin laundry soap. Let’s stick to how pumpkin, namely pumpkin puree, can be part of your ketogenic lifestyle and leave all that other pumpkin spice nonsense alone. A ½ cup serving of pumpkin puree contains 6% of the fiber you need in a day which helps you reach or maintain a healthy weight, stay regular, and many more health benefits[*]. You can literally see that pumpkin is loaded with beta-carotene, the precursor for vitamin A. This nutrient is great for your vision, immune system, and skin[*]. In fact, that same ½ cup serving contains over 100% the vitamin A you need in a day[*]. 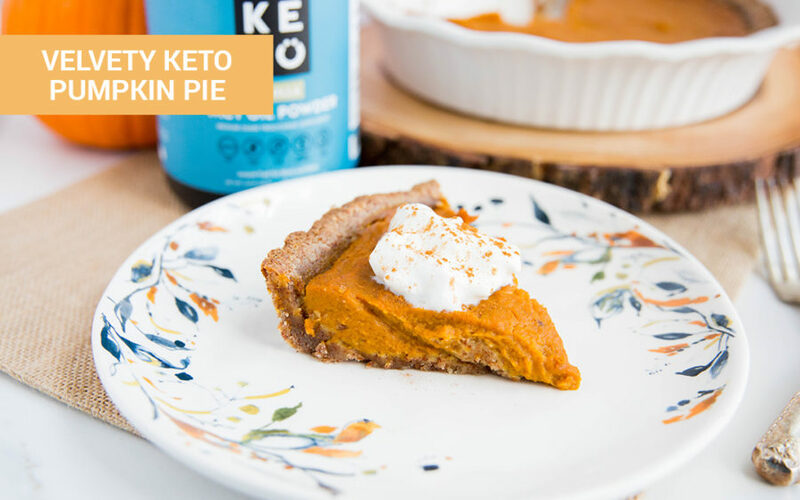 Discover how making pumpkin part of your keto diet can keep your blood sugar and ketones on point. Whoever it was to bravely be the first to eat a pumpkin must have lived in North America as that is where pumpkins originated from. The oldest existing evidence of pumpkin are some pumpkin-related seeds dating back to 7000 to 5500 B.C. that were found in Mexico[*]. Also of interest, the word pumpkin comes from the Greek word pepon meaning large melon. But pumpkins aren’t a melon, nor are they are vegetable. What?! That’s right, pumpkins, a type of winter squash, are actually berries, botanically speaking. Don’t let the word berry worry you. Pumpkins are very much so a low-carb, keto-friendly food with or without pumpkin pie spice. We went with the ‘dessert first method’ and let you know up front that pumpkin can be and is a ketogenic food. But with all great things in life, in moderation. A ½ cup serving of cooked pumpkin is going to have 4.5 to 5 grams net carbs depending on the variety of pumpkin[*]. When you ketogenic carb count is 30 grams a day, that may seem like a big chunk of your total carbs. The good news is you can budget for it and/or eat smaller amounts because a little bit of pumpkin goes a long way. In addition to all of that, pumpkin also offers up some calcium, copper, iron and magnesium. Pumpkin easily fits into a low carb diet, but if you’re truly focusing on a keto diet as part of an overall, healthy ketogenic lifestyle, focus on keto recipes specifically. Having a can of pumpkin puree in your cabinets at all times is a great way to have it on hand to boost the nutrition in recipes. It also comes in handy as a home remedy for digestive issues. Whether you’re dealing with constipation or on the other end of the spectrum dealing with the keto flu, a spoon full of pumpkin helps. Enjoying your a half cup serving spread into tablespoon bites throughout the day can improve your gastric woes. Look for ketogenic pumpkin recipes — hint we’ve included links to nearly 50 of them down below — and avoid the basic issue recipes that are full of sugar. Pumpkin is sweet enough to stand it’s own in sugar-free recipes. If you have the time or inclination, roasting pumpkins is incredibly easy and even easy to clean up. With an entire baked pumpkin to eat, you’ll find inventive ways to get your whole family’s meal plans done. Fret not. Roasted pumpkin freezes really well. When purchasing canned pumpkin make sure that it is organic. Also check the label to make for the total carbs and dietary fiber to factor the net carbs. Carb content varies across different types of pumpkins. If you’re purchasing pumpkins to roast up, know that pie pumpkins are going to have the highest net carb count because they’re a variety grown for their sweetness. Those big ol’ jack o’lanterns looking pitiful in the Halloween clearance are going to have the lowest net carb count. If you’re roasting your own pumpkins, the final product needs to be refrigerated or frozen. It’s not shelf stable like the canned version, unless you’ve got your grandma’s canning skills. Make sure to eat freshly roasted pumpkin within 4 days of cooking it, including the day you made it. If you’re going to freeze it, do so within 24 hours of roasting. We’re big fans of pumpkin here at Perfect Keto for its flavor and nutrition. That’s why we compiled over 45 ketogenic pumpkin recipes. Below are some of our all-time favorite Perfect Keto pumpkin recipes. Forget the wait at Corporate Bucks Coffee House for their sugary, chemical-laden pumpkin spice latte and start your day with this ketogenic indulgence instead. Instead of spending time in line you can enjoy this treat from the comfort of your own home. Delicious, ketogenic and a time saver. You read that right. You enjoy the ultimate holiday pie and stay keto. This pumpkin pie recipe is so delicious even your relatives with the worst carb addictions will love it. From the filling to the pie crust the entire recipe is ketogenic. Almond flour and coconut flour can be used interchangeably for the crust. Click HERE to get this crowd-pleasing pumpkin pie recipe. Whether you’re looking to stand out from all the sugary disasters at your kid’s bake sale, feed your family a healthy breakfast option or win the office potluck, these cream cheese muffins are a must. Just one delicious bite and everyone will be won over. 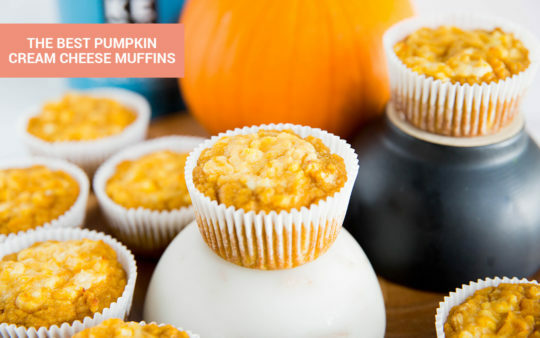 Click HERE for the BEST pumpkin cream cheese muffin recipe. 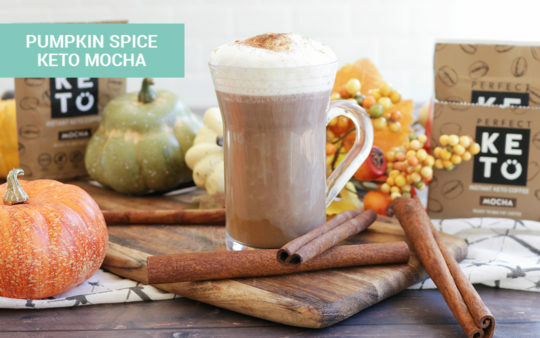 It’s not fall until you’ve have 52 million different pumpkin spiced foods. 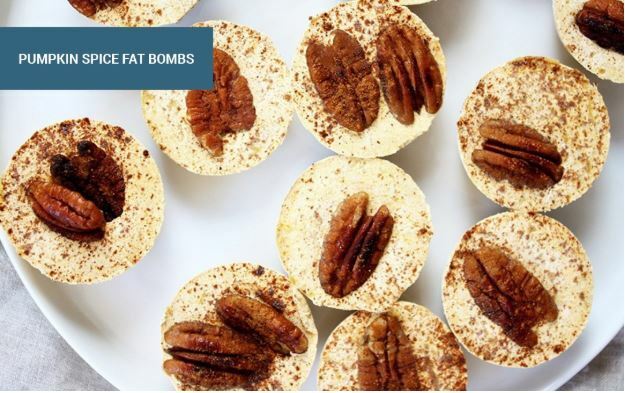 Unlike the majority of pumpkin spice items, these pumpkin spice fat bombs are good for you. Loaded with nutrition and keto friendly. Click HERE to the get recipe. Pumpkin prepared right and keeping it in check with your total net carb count is a ketogenic food. Leave the pumpkin spice products on the store shelves and enjoy pumpkin all fall and winter long.